I know what you are thinking.. "Scrambled Eggs?! Of course I know how to do those!" And believe me I thought exactly the same thing when I read Albert Roux's recipe for scrambled eggs.. So when Nuffy (he doesn't like to be called hubby anymore :) and I tried Mr. Roux's scrambled eggs we were baffled.. No cream, milk or anything yet they were the creamiest and most flavourful scrambled eggs we ever had! So this morning I woke up CRAVING scrambled eggs and decided to follow once again Mr. Roux's tips.. 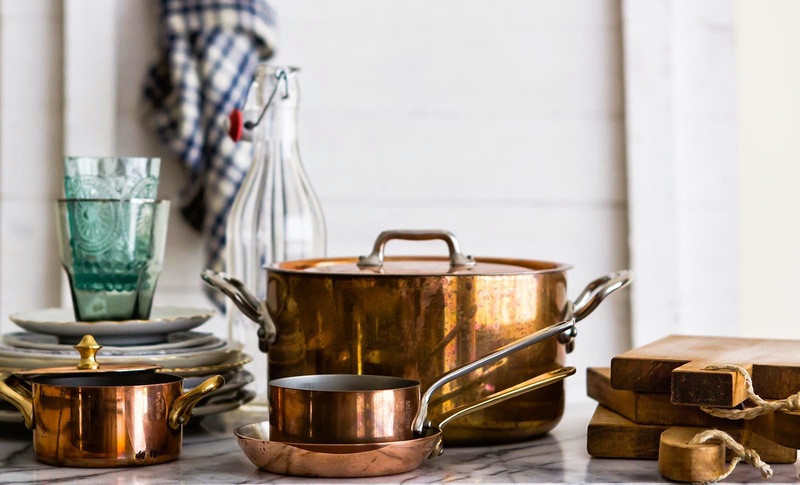 Fill a large pot with boiling water and place a stainless bowl right on top (so basically a double boiler, a bain-marie).. In another bowl crack your eggs and whisk them.. Bring the water to a simmer and add the butter to the bowl.. Once it's completely melted add the eggs and stir constantly with a wooden spoon.. This process needs a little time as you want the eggs to cook slowly, so please keep the water simmering and not on a strong boil.. When the eggs start coming together (but still liquidy!) add the salt and remove from the heat.. Sprinkle with pepper & chives and voila! 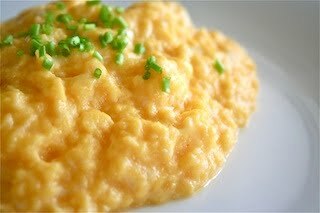 The creamiest and PERFECT scrambled eggs..
Just tried the scrambled eggs.. brilliant! so easy and sooo yummy!